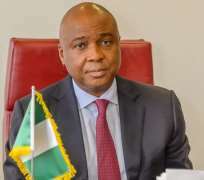 Senator Saraki Explodes: "Kwara will never bow to Lagos godfathers"
Although he did not mention the name of the Lagos-based APC stalwart, Asiwaju Bola Tinubu, supporters were heard shouting Tinubu’s name in the background. “In politics, we are in the top three; to tell us to leave our ward and be going to Lagos to take instruction? Don’t be stupid.